Myotonic dystrophy is an inherited type of muscular dystrophy that affects the muscles and other body systems. People who have myotonic dystrophy have muscle wasting and weakness in their lower legs, hands, neck and face that get worse over time. Signs and symptoms of myotonic dystrophy usually develop when a person is in his or her twenties or thirties. The severity of myotonic dystrophy varies widely among those who have it, even among family members. 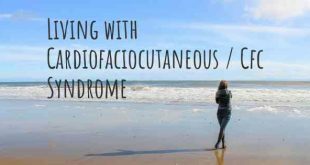 The weakness and muscle wasting that occurs slowly progress to the point of disability. Usually, disability does not become severe until fifteen to twenty years after the symptoms appear. The progression of muscle weakness is slower and is less serious in people who are older when the muscle weakness is first noticed. Myotonic dystrophy type I (DM1) has two forms: an adult form and a congenital form. Congenital myotonic dystrophy, the most severe form of myotonic dystrophy, is present at birth. It is almost always passed to the child from an affected mother. When the father has myotonic dystrophy, his children are not at risk for developing the congenital form. 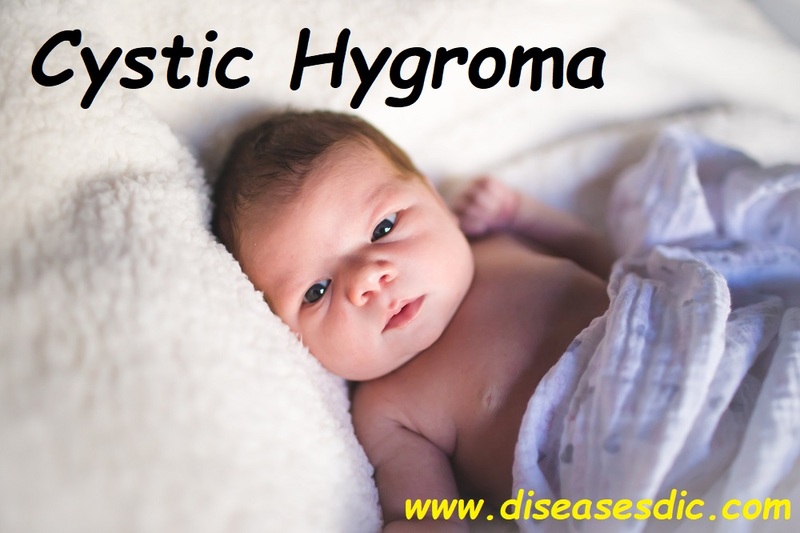 Babies with congenital myotonic dystrophy are very weak and frequently have problems sucking, feeding, and breathing. If they survive the new born stage, they generally overcome their breathing and feeding problems, but they are slow to develop language and motor skills and are often affected for life with difficulties in these areas. With the adult form of DM1, symptoms generally appear between the ages of 10 and 40 years. The severity of symptoms, rate of progression and degree of disability vary widely from one person to the next, even among family members. In most cases, the disorder progresses slowly. Myotonic dystrophy type II (DM2) – also known as proximal myotonic myopathy – is a milder and more rare form of myotonic dystrophy. The disease development and progression resembles DM1, however, unlike DM1, DM2 does not exhibit anticipation (the tendency of the disease to become more severe with successive generations). Myotonic dystrophy is an inherited disorder of muscle weakness and wasting characterized by sustained involuntary muscle contractions. These involuntary contractions arise in response to voluntary muscle use or percussion of the muscle. 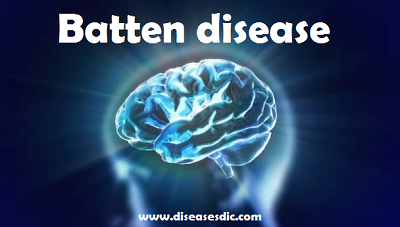 The disease was described by Steinert in 1909; it is also called myotonia atrophica. 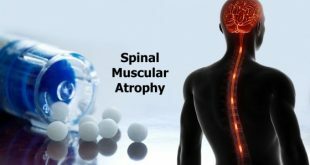 Clinically myotonic dystrophy is classified as a muscular dystrophy although the disease mechanism is distinct from that of the other muscular dystrophies. The familial pattern of inheritance is similar to that of myotonia congenita (Thomsen, 1876) and paramyotonia congenita (Eulenburg, 1886). Myotonic dystrophy is distinct in having widespread effects throughout the systems of the body. That this disease primarily affects muscle and not nerve was shown by Denny-Brown and Nevin in 1941. The tendency of the disease to become more severe with successive generations, called anticipation, was recognized by Fleischer in 1918. The genetic basis for the disease was elicited in 1992. Muscular weakness mainly affects the lower leg muscles and can cause difficulty with walking, frequent sprains as well as falls. The disease evolves slowly over a period of several years and in certain cases muscle weakness can affect the thigh and hip muscles confining the patient to a wheelchair. This is relatively rare and usually present only in very severe cases. The main ocular risk is the development of cataracts. Individuals suffering from the disease will need regular eye examinations in order to monitor the evolution of cataracts so that they can be operated on when needed. This operation does not need general anaesthetic and is thus low risk. Cardiac signs are inconsistent and can develop over the course of the disease, which justifies heart monitoring and regular ECGs. The main cardiac symptoms are signs of arrhythmia, which can manifest as palpitations or brief losses of consciousness (syncope). In certain cases arrhythmias can cause sudden death. Heart monitoring is important because it can prevent such complications. In cases of severe arrhythmia, it is possible to avoid complications with a pacemaker. With proper care, patients should no longer die from heart problems related to this disease. The weakness of respiratory muscles can cause chronic respiratory failure, which calls for close monitoring of respiratory function. Damage to respiratory organs can be verified after surgery under general anaesthetic. In certain cases, post-operative respiratory failure could have deadly results. Thus, it is necessary to let the anaesthetist know that you have Steinert Disease before the operation. Certain medications such as opiates and benzodiazepines must be avoided. Damage to respiratory muscles can also cause sleep apnea and drowsiness. As the disease evolves, difficulty with swallowing will develop as well as episodes of choking/aspiration (coughing when taking food or liquids). The risk involved with aspiration follows from the fact that part of the food passes through the lungs instead of going to the stomach. The consequences of repeated aspiration episodes are chronic respiratory infections that can affect pulmonary function. If aspiration occurs, please discuss it with your healthcare provider. Dietary advice can help limit choking episodes thus protecting the lungs from infection. This dystrophy type may also cause impotence and testicular atrophy in males. In women, it may cause irregular periods and infertility. Evaluation of a patient for myotonic dystrophy includes neurological examination, EMG assessment and obtaining serum for genetic testing. These are described in detail below. 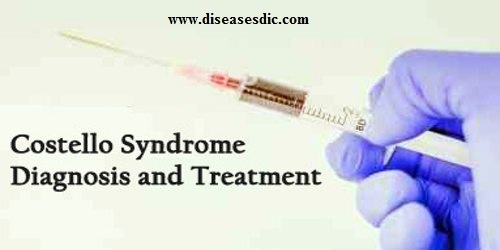 The differential diagnosis of myotonic dystrophy includes causes of myotonia: paramyotonia, congenital myotonia, mild tetanus and the rare stiff man syndrome. At later stages the myotonic dystrophy may resemble limb-girdle atrophy, polymyositis or dermatomyositis. Examination is often diagnostic because the findings of myotonic dystrophy are uniquely characteristic. The key diagnostic feature is a marked transient increase in muscle tone elicited by percussion or use of a muscle. Other disease features are a “haggard” facies, muscle weakness, muscle atrophy and in males testicular atrophy. Distal muscle involvement precedes proximal muscle involvement. Late in the disease course increased tone becomes a less prominent feature and diagnosis may not be as easily made on the basis of exam alone. Before genetic testing was available EMG was more important for confirming the diagnosis of myotonic dystrophy. The EMG shows a typical myotonic discharge which has a waxing and waning quality giving rise to the descriptive term, the “divebomber” sound. The predictable variability in amplitude and frequency of the myotonic muscle action potential distinguishes it from that of complex repetitive discharge (CRD), which displays a continuous frequency and amplitude. DNA testing is definitive. Compared with the normal population, there is a part of chromosome 19 which is expanded in those with myotonic dystrophy. This expansion is readily detectable using standardized tests of the genetic material. 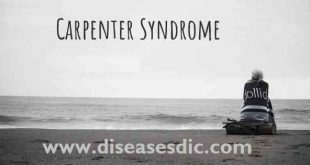 There is no treatment for this disorder although a number of preventive measures can contribute to reduce the risks and help people who have Steinert Disease. Difficulty with walking can be helped significantly by wearing high and rigid shoes or ankle braces in order to avoid sprains. If this measure is insufficient, it is suggested to wear tibia protectors. Cardiac monitoring is essential throughout the progress of the disease. It is designed to detect cardiac anomalies and monitor their evolution in order to prevent heart attacks with the help of a pacemaker. An ECG at least once a year is necessary. Respiratory failure is responsible for symptoms of fatigue. Monitoring of respiratory functions is necessary and can lead to nightly oxygen therapy which in many cases reduces fatigue. Respiratory and pulmonary infections must be avoided and anti-flu vaccination is highly recommended. Loss of dexterity (hands and fingers) is mainly due to myotonia, i.e. the lack of muscular release after contraction. There are a certain number of medications that bring relief to this problem. Although the efficacy of the different medications is relative, improvement can be seen with Dilantin, quinine sulphates or Neurontin. Please discuss this aspect with your healthcare provider. Another significant problem associated with the disease is drowsiness, which disrupts daily activities. A certain number of medications such as Ritalin and modafinil (Alertec) have been shown to be effective although results are quite variable from one individual to another. Please discuss this with your healthcare provider. Many patients complain about difficulty swallowing as well as episodes of choking. It must be understood that if you cough when consuming liquids or food this means that part of the liquid or food will pass into the bronchial tubes, which might become a contributing factor to reduced or compromised pulmonary function in the long run. If this happens it is important to contact a dietician in order to obtain advice on what type of food and liquids to avoid. Medications such as CoQ, DHEA, creatine or vitamins have shown some efficacy in the treatment of the disease. There is no medication or supplement to date that has shown significant efficacy. It should be known that not all muscles are affected in the same way by this disease, so exercise is very good to maintain muscle function over time. Violent efforts are not recommended since they can worsen the weakened state of the muscles. If exercise brings on fatigue or leg cramps it means that the efforts are too strenuous. The intensity of the effort must thus be reduced. There is no way to prevent the genetic mutations that cause DM. However, it is possible to test someone who is at risk for developing DM1 before symptoms arise, to see whether he or she inherited an expanded trinucleotide repeat. This is called predictive testing. Predictive testing cannot determine the age at which someone will begin to have symptoms or the course of the disease. Another procedure, called preimplantation diagnosis, allows a couple to have a child that does not have the genetic condition. This procedure is still experimental. Those interested in learning more about the procedure should check with their doctor or genetic counsellor.